It seems a lot of people are experiencing timeline shifts, so it made me ponder: If you shift timelines, how would that be recorded in your Akashic Records? 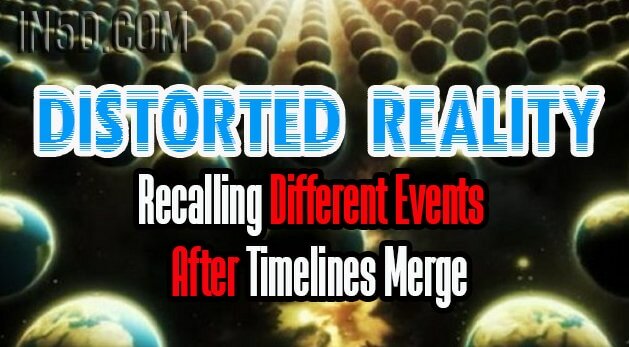 Would you only remember that current timeline or would you see ALL of your timelines? After thinking about this, it seems that you would only remember your current timeline and the past events that you may have experienced in previous timelines may no longer be relevant in this new timeline. That means that just about every major event might be NEARLY identical but would be somewhat different. Perhaps you might recall things differently in this new timeline? Perhaps this helps to explain the Mandela Effect? A few new Mandela Effects have surfaced. One year ago, the Berenstein / Berenstain Bears "Mandela Effect" came to my attention and we covered the strange phenomenon that we've identified as "Mass Identical Misrememberings". Over the last year, we've recorded numerous instances of the Mandela Effect appearing in many other avenues of life - from the Wizard of Oz to AAAA batteries, and even to a wife who claims her husband is no longer the person she married. Nine years ago, the invention of Quantum Computing arose and the capability for Humanity to tap into parallel universes became a reality. Also, nine years ago the Large Hadron Collider at CERN went online. Since then, odd discrepancies between our mutual consensus of what reality is have appeared. Is one of these scientific pursuits responsible for shifting us into a parallel universe? The evidence is mounting that many individuals disagree with the generally accepted "truth" of our reality. Creepy rituals conducted at CERN, evidence that CERN knew the Mandela Effect was an objective of their agenda, and a quantum physics perspective from a young man who claims our universe was / [may have been] "destroyed" and then shifted into an alternate worldline - how do we account for this evidence that there are strong indications our worldline has shifted? - and our prior universe may in fact have been destroyed and visitors from that universe now exist in our current reality? Another one is a biblical reference where the lamb lays down next to the _______. We all remember the LION but now, it’s the WOLF. Is the Mandela Effect proof that we have shifted timelines and are living in a new collective reality? In this writer’s opinion, YES! This may be exactly what Dolores Cannon was talking about when she said the New Earth would split from the old Earth. Two different realities, yet both are existing on the same plane of existence. If this is true, then we can expect to see a lot more Mandela Effect scenarios in the very near future. Well, at least those of us who are paying attention and/or remember the past timeline(s) will remember them. 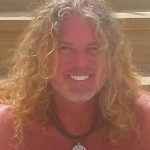 Gregg Prescott, M.S., is the founder and editor of In5D and BodyMindSoulSpirit. You can find his In5D Radio shows on the In5D Youtube channel. He is also a transformational speaker and promotes spiritual, metaphysical and esoteric conferences in the United States through In5dEvents. His love and faith for humanity motivates him to work in humanity’s best interests 12-15+ hours a day, 365 days a year. Please like and follow In5D on Facebook as well as BodyMindSoulSpirit on Facebook!